A year and a half later I remembered that Kubrick is quoted as saying: "If it can be written, or thought, it can be filmed." Don't know what to make of it. Either someone misquoted him, or he contradicted himself. Which, you know, happens. Especially if you're a famous person whose words get recorded for posterity. oh, he was just stoned. At the time he said it, he was right. It was a question of technology. Understand, the reason he took so long to get AI going was because he was waiting for the effects to reach his vision. So, yes, while it CAN be filmed, it's just a question of when. Two more movies are on their way. One, a 50's thriller called "Lunatic at Large", emerges from an arcane corner of teh filmmakers legend having to do with a treatment he commisioned from his Paths of Glory co-screenwriter, pulp author Jim Thompson, and then misplaced. For some 40 years the manuscript was considered MIA-until producer Phillip Hobbs (who, as Kubricks son-in-law, worked closely with him on Full Metal Jacket and other projects) dug it up recently while sifting through some old papers. According to Hobbs, Lunatic will, "with luck...be in production in late 2004." Ditto "God Fearing Man", an early 20th centruy drama that would be the first original Kubrick-pened script produced since 1955's Killers Kiss. No word on who'll star or direct. "Stanley was involved in both projects in 1956 and 1957," says Hobbs, "and he never forgot either." any development with either of these? those who have the new edition of EWS: have any of you seen the extra feature on his unfinished projects? 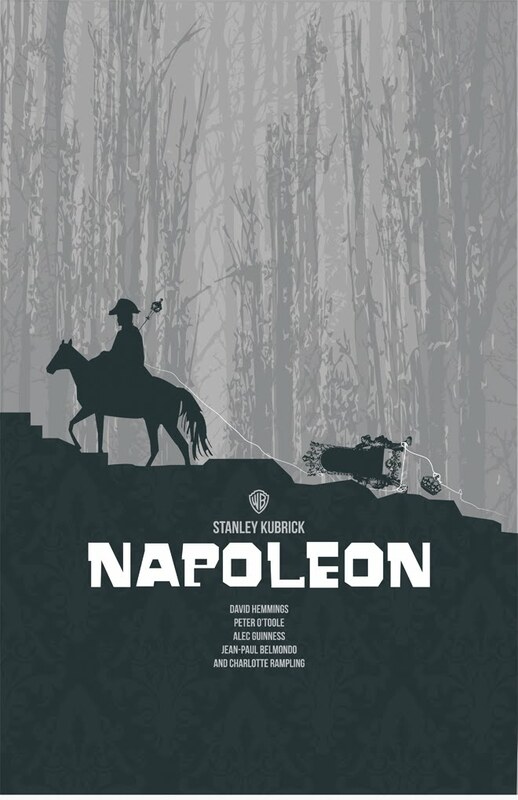 dvdbeaver doesn't say how long the featurette runs for, only that napoleon is covered, and i havn't read any other reviews so i hav no idea how much detail they get into. That featurette is about 30 minutes and only really covers Napoleon and Aryan Papers, with each project sharing the running time. No interview with Johanna; only one with Joseph Mazzello, along with the production designer, the costumer, Jan, etc. They talk about what Kubrick liked about the project, how far in he was to filming it, and why it was eventually halted. then again, realistically i wouldn't be satisfied until i got a call from Jan himself. The other day we brought you news that Uma Thurman declined a role in “Lord of the Rings,” a choice she now says was a huge mistake. But in her storied career of more than two decades, there is one project that trumps even J.R.R. Tolkien’s fabled legendarium in Thurman’s own personal game of career What if … what if she had gotten to work with Stanley Kubrick? The story of two Jewish family members, a young woman and her nephew, who disguise themselves as devout Catholics in order to avoid Nazi persecution, “Wartime Lies” was scrapped by the mercurial director after Steven Spielberg’s “Schindler’s List.” At the time, he was reputed to have concluded that an accurate film about the Holocaust was impossible — that the horrors of the era could never be captured on film. His decision to move on to other projects was “devastating,” said Thurman. Those are some big words for an actress who’s played Mia Wallace and the Bride. A new draft of “Wartime Lies” is being written by “The Departed” screenwriter William Monahan. A new draft of “Wartime Lies” is being written by “The Departed” screenwriter William Monahan. and now I monahang myself..
Making them tv productions means they'll get the attention they deserve, which is very little. Kubrick wanted to tell the tale of Dietrich Schulz-Koehn, a swing-loving Luftwaffe officer who wrote about the music scenes in Nazi-occupied cities using the pen name "Dr. Jazz." 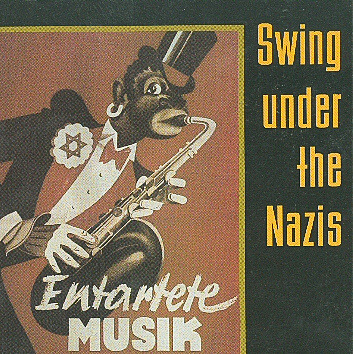 In 1985, Stanley Kubrick was handed a book on the survival of jazz in Nazi-occupied Europe. A snapshot of a Luftwaffe officer casually posing among black, Gypsy, and Jewish musicians outside a Paris nightclub caught his eye. It looked like something out of Dr. Strangelove, he said. He'd long wanted to bring World War II to the screen, and perhaps this photograph offered a way in. "Stanley's famous saying was that it was easier to fall in love than find a good story," says Tony Frewin, Kubrick's longtime assistant (and, for the purpose of disclosure, an editor-at-large at my former magazine, Stop Smiling). "He was limitlessly interested in anything to do with Nazis and desperately wanted to make a film on the subject."